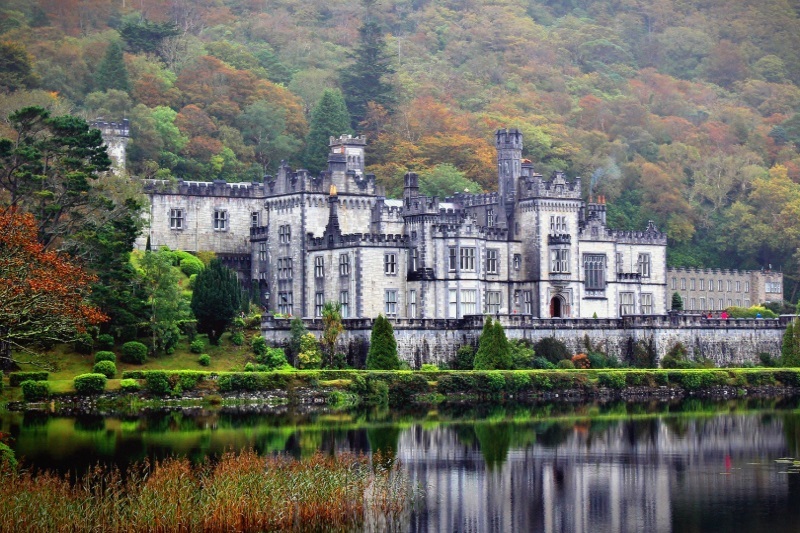 Celtic Rider Ireland Tours are officially approved by Tourism Ireland and Failte Ireland. Proud Winner of National Small Firms association ‘Outstanding Small Business 2013’ awarded to Celtic Rider Motorcycle Rental & Tours Ireland. Transfer to Celtic Rider, attend and enjoy safety orientation course. Head North west along the N3, I recommend stopping at Lakeside Manor Hotel in Virginia for lunch, a nice hotel beside beautiful Lough Ramor , 50 miles from Celtic Rider, plenty of parking space at this quaint hotel. This ride briefly takes you through Northern Ireland, along upper and lower Lough Erne. There are no customs checks in Ireland anymore, the only difference you will notice are the speed signs are in miles, not km. Entering Donegal town, check out Donegal Castle and Magee’s tweed shop, conveniently located 100 yards from each other in the town centre. Check into Donegal accommodation for 2 nights. National Park and Castle in North West Donegal, with the majestic Derryveagh Mountains all around you. The Castle is set in a beautiful garden, nice to relax in for a while, have some refreshments and enjoy the short guided tour of the castle itself. Departing Glenveagh note Mount Errigal, Ireland’s most iconic mountain, with its quartzite top. Continue riding along the route through wild and remote Donegal to Ardara, than ride the Glengash mountain pass. 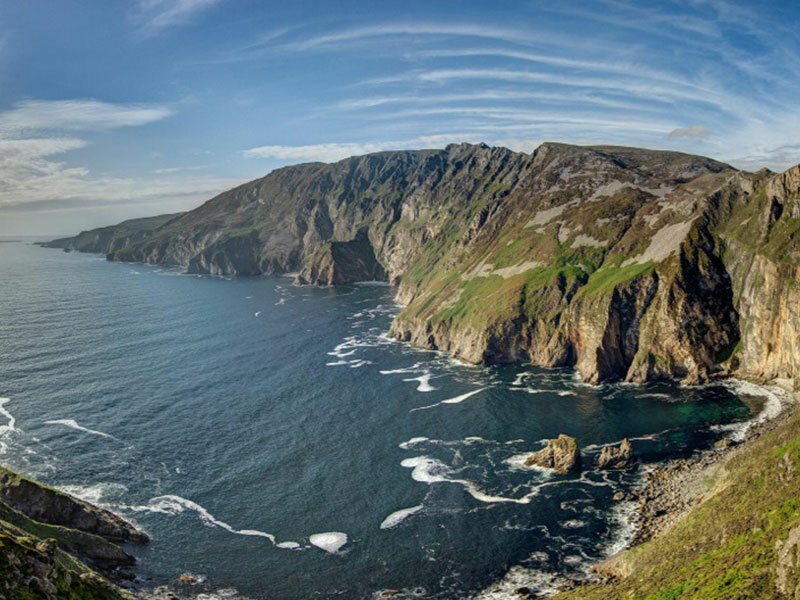 Onwards to Carrick, than Teelin Village, follow the route to ‘The Rusty’, a small old pub and just 100 metres after the pub you turn right to the start of the ascent to the highest sea cliffs in Europe, Slieve League Cliffs, at 2000 ft high. The ride up is as memorable as the amazing view from the upper parking area, accessed by opening a farm gate on the way up. Often there are trawlers fishing, they look like tiny dots on the Atlantic Ocean from the summit of the cliffs. Return to Donegal accommodation via Killybegs, Ireland’s deep sea fishing port, very photographic coastal town. 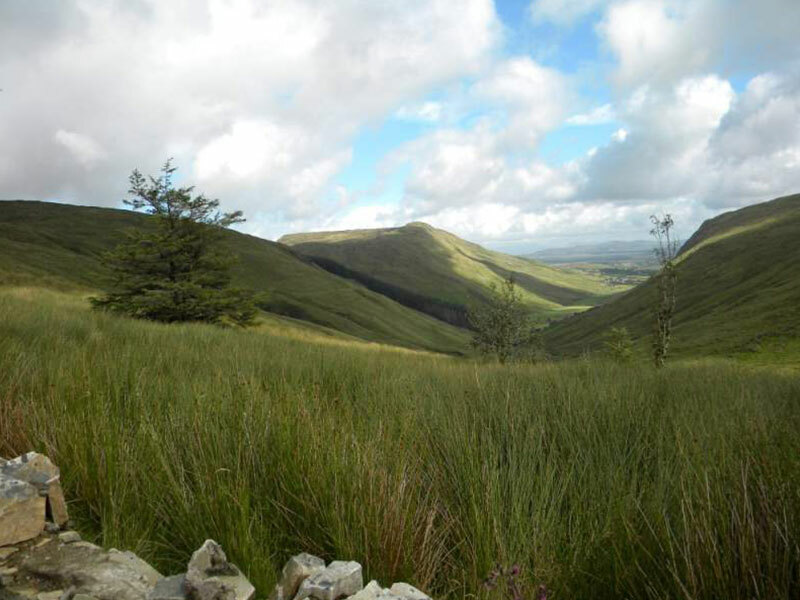 Doo Lough Pass is steeped in history, some quite sad as many Irish people died of starvation along this pass during the great hunger, the famine years of the late 1840s. 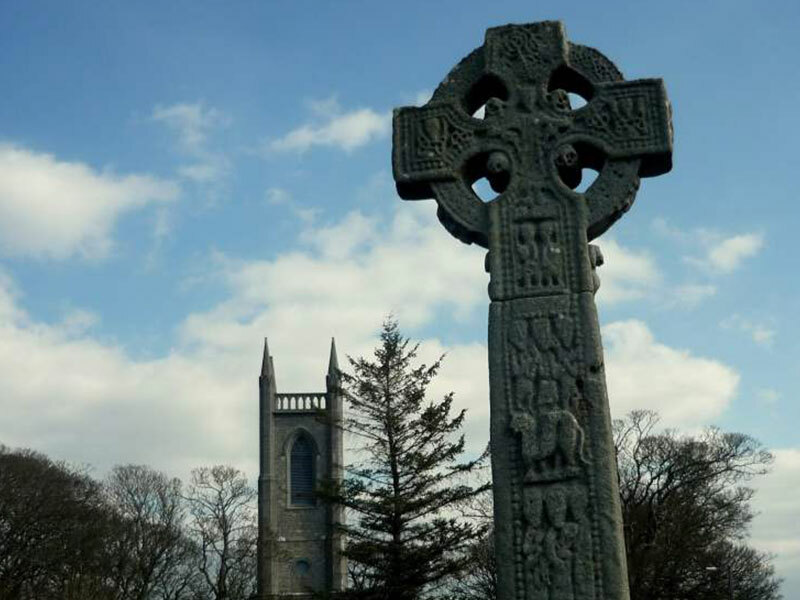 There is a stone cross commemorating those who perished and a famine walk every year along this stunningly beautiful area. The words on the cross are very poignant and it is worthwhile to stop here for a short while. Travel back to Celtic Rider in Dublin Castlebar, Roscommon. Again, enjoy the agricultural midlands of Ireland as you ride back to Celtic Rider. Continue to Celtic Rider Rental station. 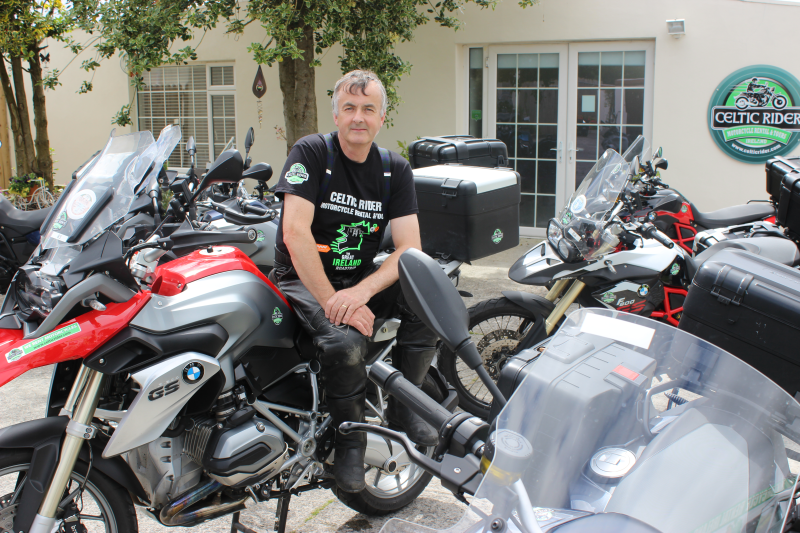 We will assist with unpacking the bike, check over of motorcycle and paperwork before arranging drop off to your Dublin hotel or Dublin Airport. Hire of waterproof standard protective riding clothing including, riding jacket, trousers, boots and gloves €15 each person/per day. Hire of premium guaranteed waterproof KLIM riding gear is €20 per day. If you would prefer to stay in a blend of B&B Guest Houses and 4 or 5 star Hotel accommodation, contact Celtic Rider for custom pricing. Unlimited mileage, full tank of fuel on departure, to be returned with full tank of fuel. Riders must have a full license for riding the category of motorcycles that we rent and the rider must be 25 years of age or older.A pre-authorisation for damage excess of €1500 will be reserved on your credit card on collection of the motorcycle. For motorcycles going abroad the damage deposit is €2500. This is the maximum cost charged in the event of accidental damage or theft. Your signature on the rental agreement page shall constitute authority for us to debit the final total charges against your account and your specific card-issuing organization. Celtic Rider office staff must be notified immediately of any accidents.